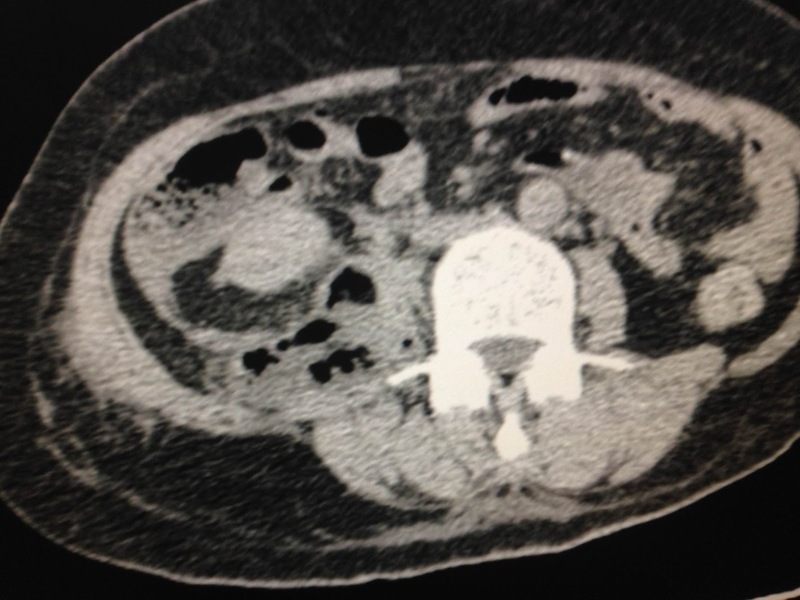 Woman 56 yo, pain in RLAQ 1 week ago, ambulatory treatment, pain in the back and to the right hip, difficulty in walking. 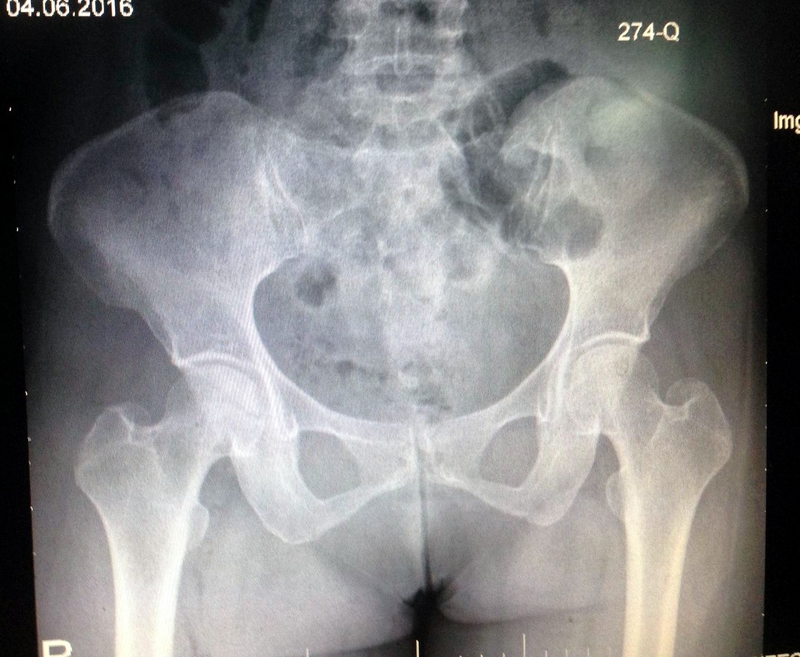 XRay of the right hip looked like fracture. 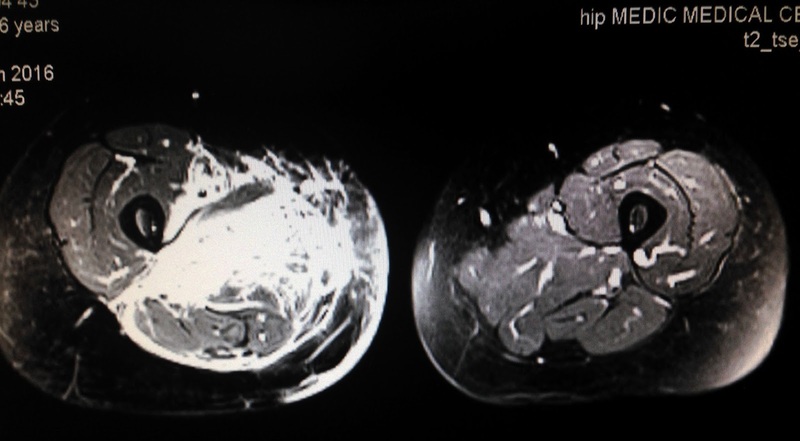 MRI showed that R. hip no fracture but fluid collection in retroperitoneum space, intrapsoas muscle to pelvis and to righ thigh with intramuscular air detection ( MRI 1, 2 , 3 ). 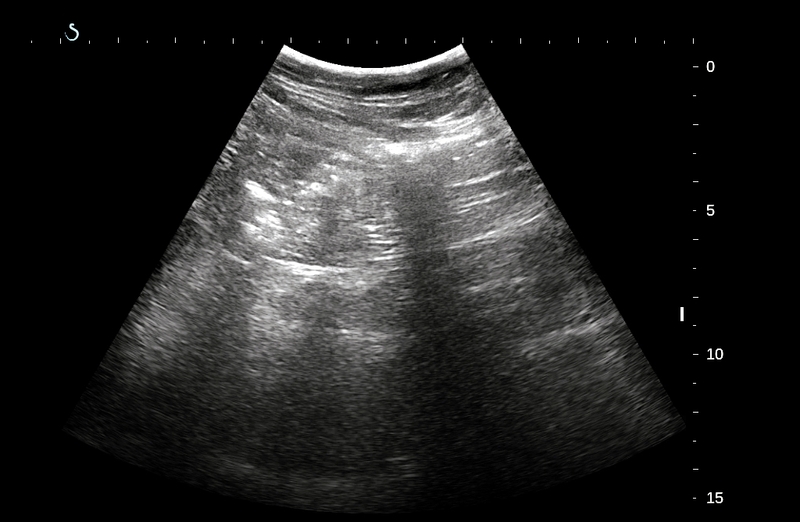 Ultrasound examination of pelvis detected cystic mass with air inside likely an abscess..( US 1,US 2, US 3 detected air in muscle of righ thigh). 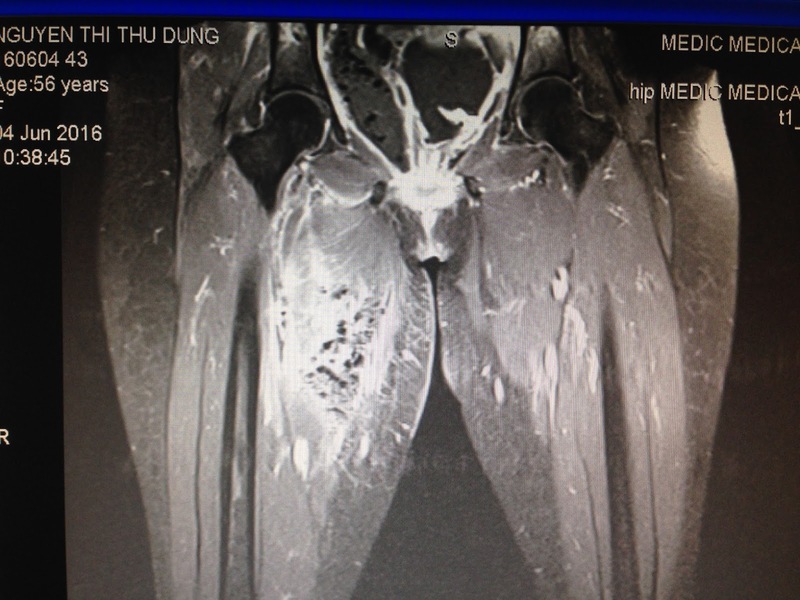 The sonologist diagnosis is abscess of the right thigh muscle. 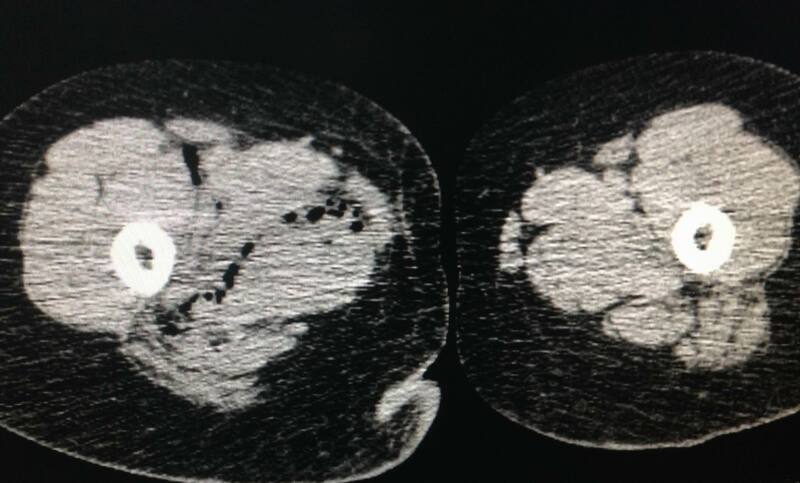 Blood tests = very high WBC= 19,6 k with neutrophil 1,3 k, hsCRP= 207.9ng/ml/. 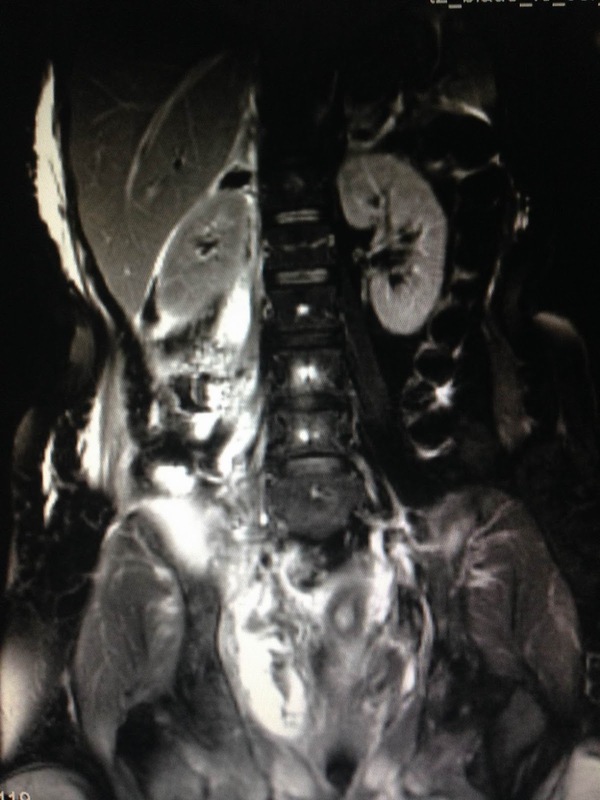 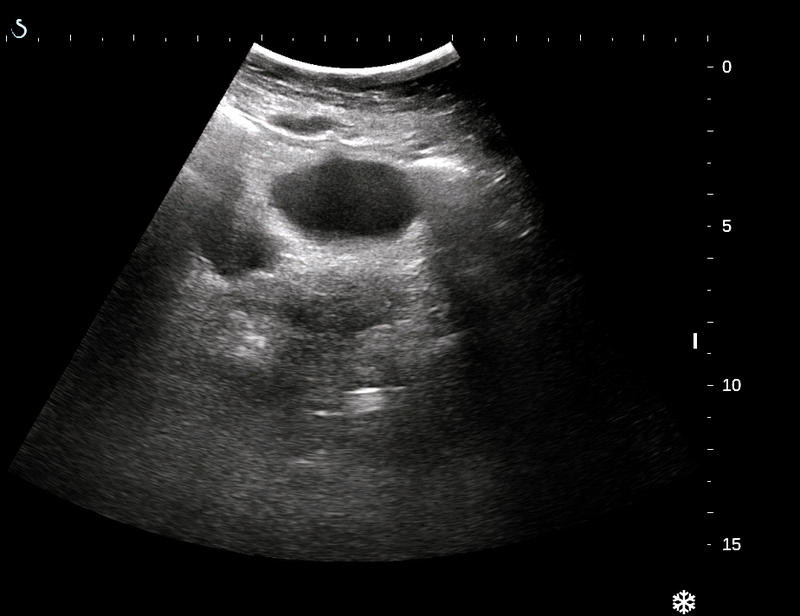 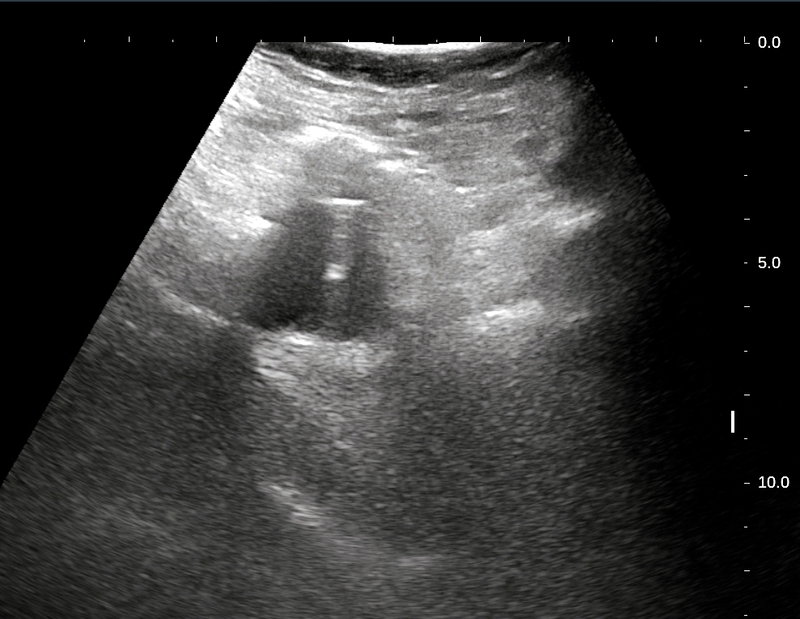 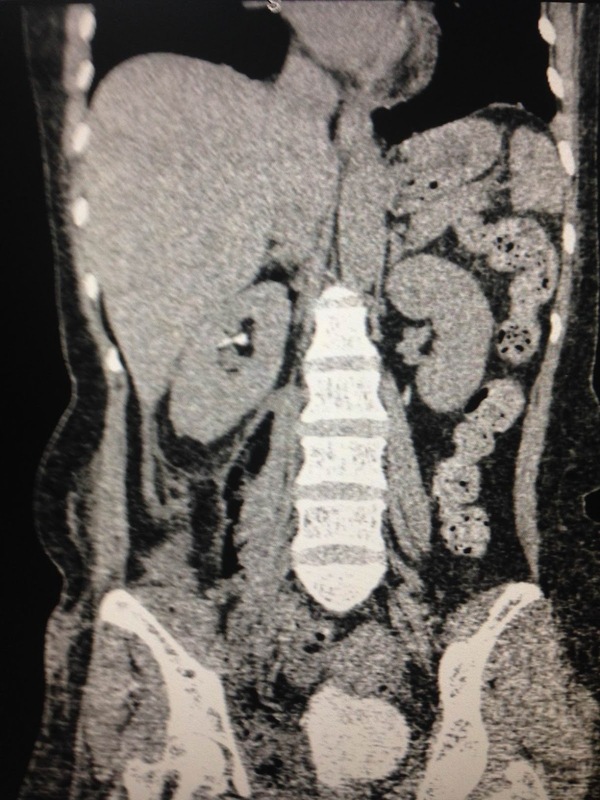 Emergency operation confirmed abscess due to necrosis of retrocoecum appendix with perforation of cecum extending to liver and the righ thigh.